This rural area is located about a mile west of Goose Harbour River, on the north shore of Chedabucto Bay on the eastern shore of Nova Scotia. It may have been named after a steamship. Much of the land was part of a grant made to Benjamin Hallowell, Jr. in 1765. It may have been settled in the late 18th century. In the 1870's the Porper and Keay families were prominent in the settlement. Fishing and farming are the basic industries. Population in 1956 was 56. Middle and South Manchester are located on the north side of Chedabucto Bay, and Upper Manchester is on the west side of Milford Haven on the eastern shore of Nova Scotia. This name was given to this Loyalist township in 1784 by Lord Charles Greville Montagu who commanded the Duke of Cumberland's Regiment. He was the second son of Robert, Third Duke of Manchester. Probably the first settler in the area was Joseph Hadley, a native of Rhode Island, who settled near Hadley Beach about 1768. He eventually built one of the first frame houses in the area and owned stores, a wharf, and fishing vessels. In 1784 disbanded troops from the American War arrived and settled on the 1765 Hallowell grant. In 1785 an Inferior Court of Common Pleas and a Court of General Sessions of the Peace were established at Manchester. A new Baptist Chapel was erected in the Manchester area about 1837-38. It was still unfinished in October, 1843. A Roman Catholic chapel was built by May, 1823. A Methodist church was opened in January, 1848. A school was established January 1, 1813. Another school was established on Manchester Road in November, 1816 with Angus McPherson as schoolmaster. By May 9, 1822, a schoolhouse had been built "on the north side of Chedabucto Bay in the township of Manchester. In 1831 a school house was under construction "opposite John Scotts in the District 11, Upper Manchester." One new school was built in 1866 and three new schools in 1867. In 1879 the school-house at Upper Manchester was destroyed by fire. A new school was completed at Middle Manchester in 1887. A postal way office was established in 1852. A new post office was opened at South Manchester in 1904. Fishing and farming are the main industries. Population of Middle Manchester in 1956 was 131. 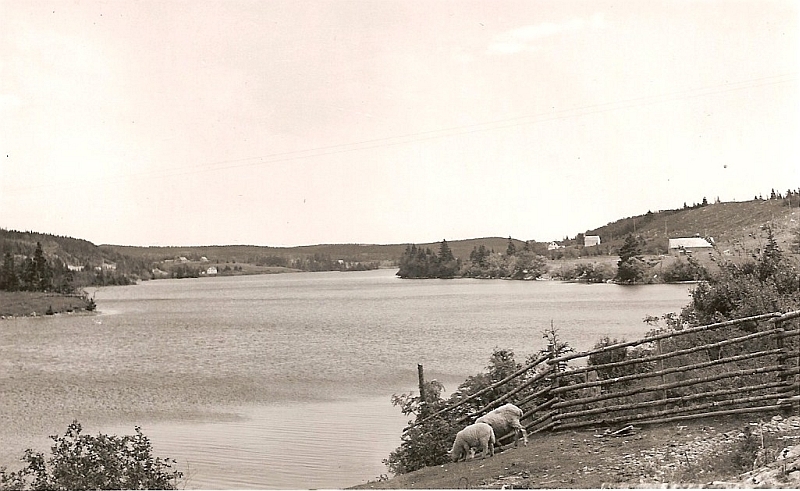 One of three townships of Guysborough County, so named, in all probability, after the English City of Manchester. This rural area is located about two miles south of Liscomb Harbour on the eastern shore of Nova Scotia. The Indian names were Kulakwejook, "Sculpin ground", and Megwasaagunk, "red bank" or "red shells." The place was probably named by early French settlers after Mary and Joseph. Leonard Aubold petitioned for land at St. Margarets Bay, Halifax County in 1785. He and John Smith received grants in the Marie Joseph area in 1788. St. Matthew's Anglican Church was begun in 1845, completed in 1859. A school-house was built about 1869. A new school was erected in 1928. A postal way office was established in 1855. Fishing is the main industry. Population in 1956 was 137. The Indian name of this place was "Megwasagunk," meaning "red shells." This settlement is located about four miles south of Little Tracadie Harbour in eastern Nova Scotia. 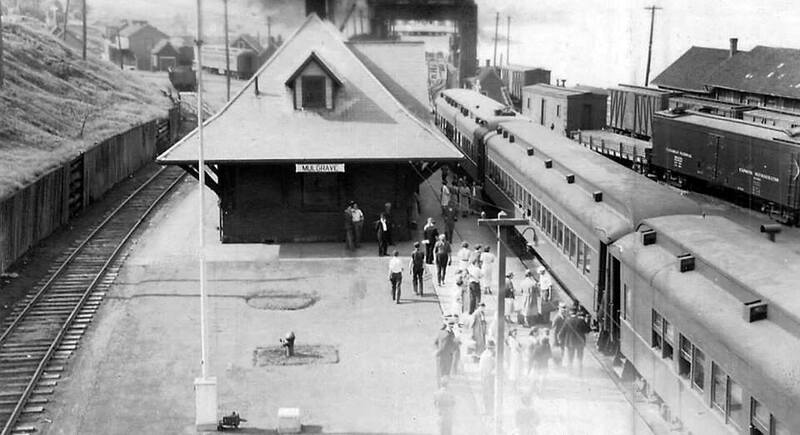 It was so named because a number of residents were named Mattie. Some of the grantees were: John Walsh, 200 acres in 1828; Hugh Pasquil, 200 acres in 1831; Alexander Mattie, 200 acres in 1831, and Eli Mattie, 100 acres in 1831. Settlement may have begun by 1827. Farming and lumbering are the basic industries. Population in 1956 was 71. This rural area is located at the south end of the Strait of Canso on the west side on the eastern shore of Nova Scotia. Named in 1884 after the family seat of Sir Colin Campbell who was Lieutenant Governor of Nova Scotia from 1834 to 1840 its boundaries were established on April 9, 1834. The land was granted to Loyalists and was probably settled in the last decades of the 18th century. The frame of an Anglican Church was erected in April, 1829 on land donated by a son of Captain David Martin at "Gut of Canso." In 1886 the church was nearly completed and ready for consecration. A Roman Catholic Chapel was built at Middle Melford soon after 1822. A new St. James Church at Melford was consecrated October 6, 1895. A Methodist Church was built at Melford in 1910. A school-house was built at "Gut of Canso" before 1829. In 1846 there were three schools in the Melford area. A Postal way office was in operation between 1842 and 1858. Fishing and farming are the main industries. Population of Middle Melford in 1956 was 56. This small settlement is located on the south side of Cumminger Lake, near the forks of St. Marys River in eastern Nova Scotia. It was probably named after Melrose, Roxburghshire, Scotland. Settlement began in the early 19th century, and by 1870, the families, Cumminger, Grant and Stewart were the residents. The Cumminger brothers operated mills near the village and Eleven Mile House was there for the use of travellers. A school-house was erected in 1866 and it burned down in 1889. A new school-house was opended in September, 1953. A post office was established in 1864. In the 19th century, Melrose had a scattered population engaged in farming and lumbering industries, still relied upon in the mid-20th century. Population in 1956 was 56. After Melrose in Roxburgshire, Scotland. This settlement is located near the Upper branches of the Goose Harbour River, north of Chedabucto Bay, in eastern Nova Scotia. It was probably so named because it was situated about halfway on the road between Boylston on Milford Haven and Melford on the Strait of Canso. In 1815, Jeremiah Conners, John McMasters, Edward Kergan and John Steward received grants of land here. Kergan, a veteran of the American Revolutionary War, had the land surveyed for him in 1806, but had not yet settled on it in November, 1810, when he petitioned for a grant. Three members of the Whitman family of Manchester, petitioned for land in November, 1816, and received grants here in 1817. A school-house was built at "Middletown" in 1867. A postal way office was in operation from 1855 to 1859 when it was moved to Pirate Harbour. A new post office was established December 1, 1876 under Lawrence Walker. Farming and lumbering are the basic industries. This community is located around the western end of the only bridge over Milford Haven, and it derives its name from this fact. It was probably settled soon after 1784 by Loyalists to whom the townships of Guysborough and Manchester were allotted. A postal way office was established in 1860. Farming and fishing are the main industries. Settled by Benjamin Hallowel and others in the year 1784. The grant was given in 1765. Hallowel came from Boston. He divided his 20,000 acre grant among Loyalists, in 1784. In 1786 they planned and laid out a town named "Boylston." This town is located on the west side of the Strait of Canso on the eastern shore of Nova Scotia. The Indian name was Wolumkwagagunutk, "lobster ground." The cove north of the town was early known as Waleman's Cove until soon after 1821 when it became McNair's Cove, after Colin McNair who obtained the land from Dr. Harris about 1821 and settled on it. The cove south of the town was named after William Armstrong, the original grantee of the land and a captain in the British Army during the American Revolutionary War. In 1861 W.H. Wylde moved here and built an estate and the cove became Wylde's Cove until it was changed by act of the Legislature in 1859 to Port Mulgrave in honour of the Earl of Mulgrave, Lieutenant-Governor of Nova Scotia. Eventually the "Port" was dropped. Captain William Armstrong came to this area about 1785 and 700 acres of land were surveyed for him on October 8, 1789. James Cowie, a Scottish soldier also located at Armstrong Cove about this time. St. Andrew's Anglican church was built in the summer of 1848 and it was consecrated on October 8, 1852. St. Lawrence Roman Catholic Church was built in 1856. It burned on May 6, 1960. The new St. Lawrence church was opened August 10, 1962. In 1863 a nearly-completed Methodist church was destroyed by a gale. Another Methodist Church was begun about 1873 and was destroyed by the storm of August 25, 1873. Another church was erected and dedicated on August 18, 1878. The latest Methodist Church was built in 1911, dedicated January 7, 1912. A school-house was built about 1848 and Jane Giles was the teacher. A new school was built about 1867. Mulgrave Memorial School was opened in October, 1952. The new Mulgrave Memorial School was opened May 30, 1966. A post office was established in 1856. Regular ferry service was established across the strait by Hugh McMillan about 1819. In 1882 the railway was opened to Mulgrave and in 1893, barges began carrying rail cars across the Strait. The Canso Causeway was completed in August, 1955. Port Mulgrave was incorporated as a town in 1923. Fishing is the basic industry. Until 1955 the ferry service was the main industry besides the services such as stores and service stations. Population in 1961 was 1145. Named in 1859 in honor of the Earl of Mulgrave, Governor of Nova Scotia in 1858. The old Indian name for this place was "Wolumkwagunuchk," meaning "the lobster ground." This settlement is situated about four miles north of Moose Bay, near Chedabucto Bay on the eastern shore of Nova Scotia. It may have been named in 1900 after one of the characters in William Shakespeare's, "The Merchant of Venice." The land was part of the Manchester Township which was granted to Benjamin Hallowell in 1765 and divided up for Loyalists in 1784. In the 1870's no one lived at the end of the road from Manchester and only three families named Morris, Brown and Hart, lived on the road. This place was formerly known as Clam Harbor, was named Nerissa in the year 1900. Evidently so named by some admirer of "The Merchant of Venice," as it is the name of one of Shakespeare's characters in this play. This rural area is located on the upper Ecum Secum River, on the eastern shore of Nova Scotia. 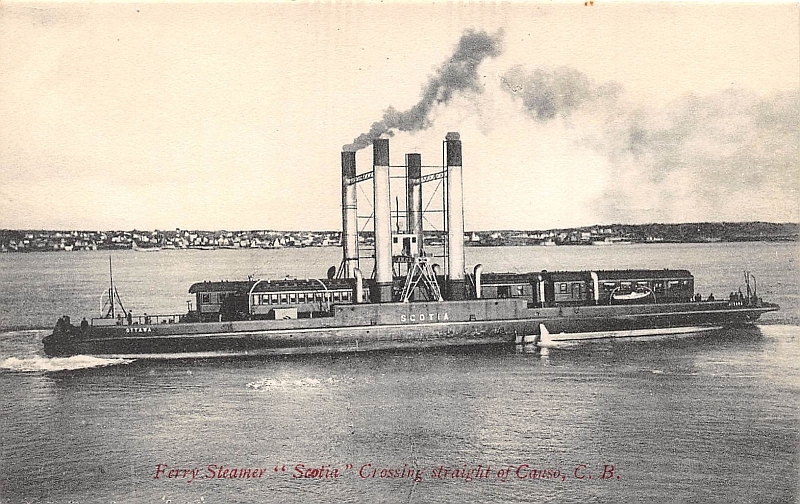 It may have been named after Chester, Lunenburg county. The earliest grants were made to: James Davis in 1857 and 1869, George and Joseph Fancy in 1858, and to John Cameron in 1866 and 1868. In 1909 the place was described as a farming and lumbering settlement which has grown up within the last fifteen or twenty years. New Chester school section was formed in May, 1913, and a school was built in 1915-1916. Farming and lumbering are the basic industries. Population in 1956 was 65. The four parts of this elongated settlement are situated on both sides of the New Harbour River on the eastern shore of Nova Scotia. The Indian names were Ansaakw, "a lonely rock," and Okoboogwek, "foaming with discolored foam." The name "New Harbour" was probably descriptive at the time it was given to the cove. First settlement was begun about 1816 by Moses, James, and Nathaniel Bears from Barrington, Charles and James Nickerson from Manchester, John and James Sangster from Port Hastings and others. A meeting house used by Baptists and Methodists was erected in 1847. A new Methodist church was under construction in 1877 and a new United Baptist Church was built 1884-87. John E. Miller received a license to teach at New Harbour in 1838. About 1844 a school was erected. New school-houses were built in 1877 and 1881. A new school was built at Lower New Harbour in 1904. A three room consolidated school was officially opened January 14, 1966. In 1854 a way office was opened with David Kirby as keeper. This office was officially established in 1856. 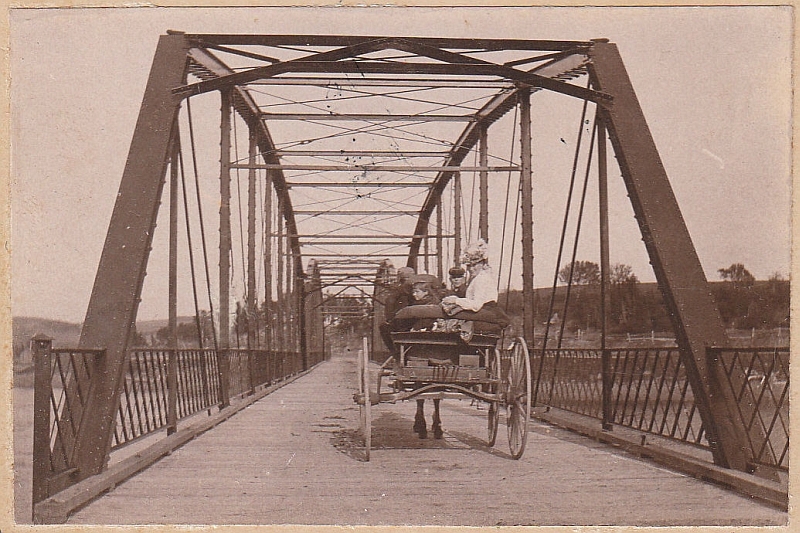 The upper bridge was built in 1888, the lower was built in 1902 and rebuilt in 1933. Soon after the first settlement a saw mill was built by Bears and Nickerson. About 1874 a lumber and shingle mill was set in operation by Robert Sangster. Fishing is another industry. This rural area is located on the East River St. Mary's about two miles south of the Pictou Guysborough County line in eastern Nova Scotia. The name was probably descriptive at the time it was given. In June 1800, a survey of two thousand acres of land was made for James B. Franklin. Thomas and Donald Fraser, natives of Scotland and residents of Pictou for twenty eight years, obtained a licence of occupation for five hundred acres of land each in 1803. In 1811 they were desirous for a grant of the same. In February, 1811, lots were surveyed for Andrew Fraser, John Matheson, William McKay, junior and senior, John McBain and John McKay. A school-house was built in 1901-1902. It burned down in April, 1947, and classes were resumed in the Denver community hall. A postal way office was established in 1866. Farming is the principal occupation. Population in 1956 was 55. This settlement is located on the upper Solomon River, west of the head of Chedabucto Bay in eastern Nova Scotia. It was named for Alfred Ogden, who was Member of Parliament for Guysborough, 1878-82. William Nixon, a Guysborough business man, received a six hundred and fifty acre grant here in March, 1804. In January, 1812, grants were made to Benjamin Douglas and Alexander Mortimer. A school was built in the 1860's. Farming is the basic industry. This place was named after a Mr. Alfred Ogden who was at one time the parliamentary representative of the County of Guysborough. Copyright © 2014-15, by Barry Potter, all rights reserved.